Wild rats are a disturbing problem. Not only are they carriers of disease, but they also can become aggressive if they feel the need to protect their nests. Rats looking for a food source may see your open bags of bird seed and pet food as an invitation to move into your garage or shed. Considering traps and poisons are dangerous to children and other animals, you may want to try some natural ways to get rid of rats. Rats will seek out unprotected sources of food. If you can keep rats from moving in, this is obviously the best way to be rid of them. Keep your buildings well sealed. Keep windows and window screens fitted to their frames. Keep all food sources sealed. 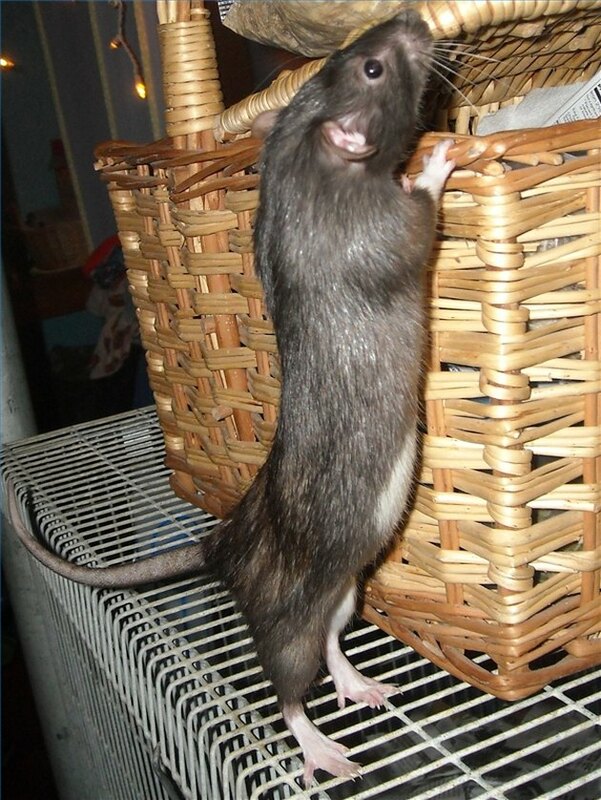 Rats can chew through almost anything, so do not allow food to spill out and lead the rats to your contained food. Keep easily chewed items off of the ground. Keep your yard and garden weeded and free of brush, and keep sheds, garages and storage areas free of clutter so you can easily identify an infestation. There are odors that rats avoid. They will not keep rats away forever, but you can use these odors to deter the rats while you seal up points of entrance. Fox and bobcat urine are common deterrents. You can also use litter from your cat box. A more pleasant smell to use to annoy any incoming rat is the smell of peppermint, spearmint and citronella. You can buy repellent that uses these odors or you can use the essential oils of these plants, or you can even plant peppermint, spearmint and citronella around your home, outer buildings and garden. If you already have a cat or dog, you can regularly have your cat or dog patrol the area infested with rats. Rats do not like predators and will leave to build a nest in a safer neighborhood. If you do not have a cat or dog, you may want to consider adopting one. For outdoor rat problems, you can adopt feral cats who may have a more natural drive to kill the rats. Rat terriers were actually bred to dig out and kill rats. Many small dogs are natural ratters. If you are not willing to adopt, see if you know anyone who will loan you a cat or dog to drive away your rats and give you an opportunity to rat-proof your house and yard. Em Connell McCarty has been writing for more than 27 years. She studied writing at the University of Iowa and at Hollins University in Virginia. She is continuing her study of English and writing at the University of Wisconsin. She writes fiction, creative nonfiction and essays. McCarty's fiction has been published in "Hip Mama" magazine and "Danse Macabre."